Between the Middle Neolithic (4200-3500 BC) and the Middle Bronze Age (1740-1430 BC), Central and Northern Europe received a massive influx of people from the Steppe regions of Eastern Europe and Asia. 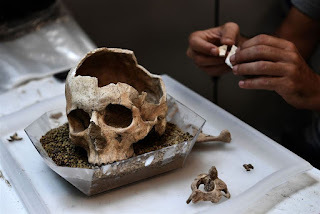 Archaeological digs in Iberia have uncovered changes in culture and funeral rituals during this time, but no one had looked at the genetic impact of these migrations in this part of Europe. Researchers sequenced the genomes of 14 individuals who lived in Portugal during the Neolithic and Bronze Ages and compared them to other ancient and modern genomes. In contrast with other parts of Europe, they detected only subtle genetic changes between the Portuguese Neolithic and Bronze Age samples resulting from small-scale migration. However, these changes are more pronounced on the paternal lineage. A brawl between gladiators that ended in tragedy, narrated by Tacitus, and a mysterious character that probably died in it is a 2,000-year-old mystery of Pompeii brought to light by a marble monumental tomb with the longest funerary epigraph ever found. 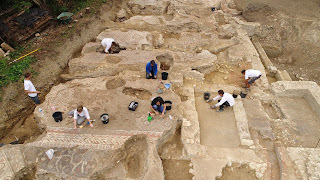 The excavation was connected with the rehabilitation of state-owned property as part of the Great Pompeii Project in the San Paolino area near Porta Stabia, one of the accesses to the ancient city. The tombstone was made shortly before the eruption that destroyed Pompeii in 69 AD and was presented on Thursday in the archaeological area. The inscription is over 4 meters long, in seven narrative registers, and though it does not include the deceased's name, it describes in detail the major events in the life of the man buried within it: from the acquisition of the 'toga virilis' to his wedding, and describes the munificent activities that accompanied such events such as public banquets, largess, the holding of gladiatorial games and battling large beasts. Some medieval medical books had unusual advice to help improve men’s fertility. A team of archaeologists coming to the close of a 10-month project at Plovdiv’s Episcopal Basilica site have found a stone baptismal vessel given to the basilica by a Bishop Makedonii, possibly dating from some time in the fifth century. The 10-month archaeological excavations at the 2500 square metre site come to a close this week, and it is expected that early in the week beginning on July 31, the site will be visited by a commission from the Ministry of Culture. Archaeological team leader Zheni Tankova expressed thanks to the America for Bulgaria Foundation, which together with Plovdiv municipality “gave the opportunity to reveal this truly amazing monument of architecture, culture, art and religion”. 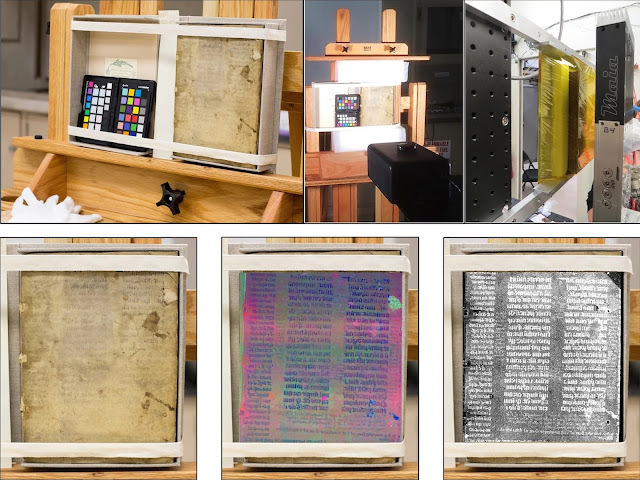 After being hidden for centuries, the secrets within medieval manuscripts might soon come to light. By fusing two imaging techniques — visible hyperspectral imaging and x-ray fluorescence — an interdisciplinary team of Northwestern University researchers has developed a new, non-destructive technology that gives access to medieval texts hidden inside of ancient bookbindings. Between the 15th and 18th centuries, bookbinders recycled the bindings from medieval parchments into new binding materials for printed books. 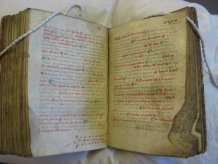 While scholars have long been aware that books from this time period often contain hidden fragments of earlier manuscripts, they never had the means to read them. 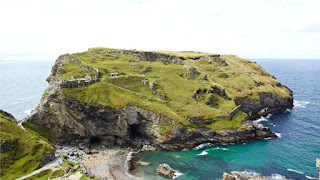 Archaeologists have completed the first stage of a major five-year study of the archaeology of the Tintagel headland in Cornwall, in the southwest of England. In English folklore, the site is thought to be the birthplace of King Arthur. Archaeologists are back at the legendary birthplace of King Arthur. Last summer, researchers discovered traces of early medieval life at Tintagel in Cornwall, on England's southwest coast, where the legendary British monarch was said to have been born. Now, they've returned to the site for another round of digging, to further explore buried buildings dated from the fifth to the seventh centuries. A 1,100-year-old coin is amongst a series of discoveries made at what experts believe was a royal power centre of a northerly Pictish kingdom. The coin was found along with the remains of a longhouse at Burghead Fort near Lossiemouth, which was thought to have been largely destroyed by the development of a new town during the 19th century. 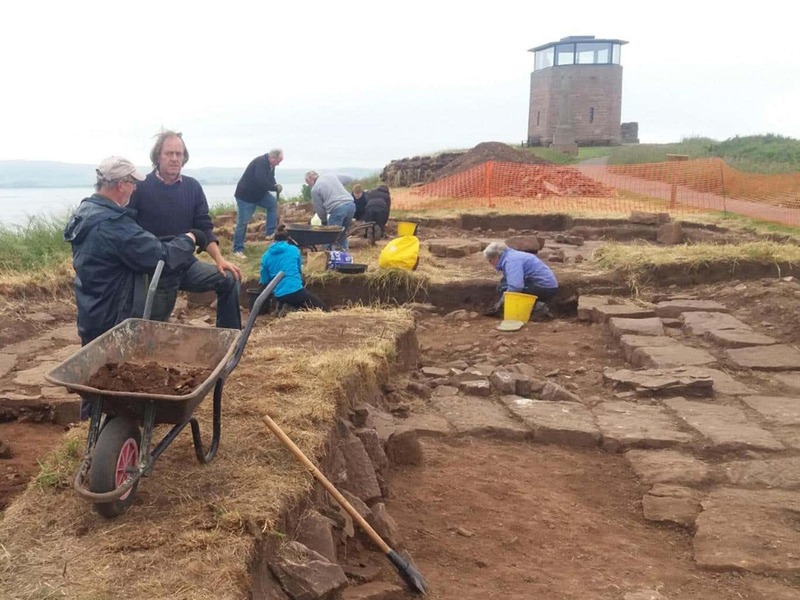 Now archaeologists from Aberdeen University hope further significant findings will be revealed at the site – a probable seat of power of Northern Pictland between 500AD and 1000AD, given the fresh discoveries. 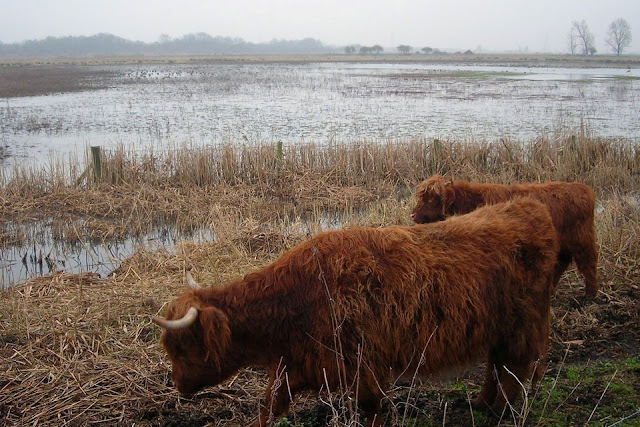 What was life in the fens like in the period known as the dark ages? Archaeologist Susan Oosthuizen revisits the history of an iconic wetland in the light of fresh evidence and paints a compelling portrait of communities in tune with their changeable environment. In doing so, she makes an important contribution to a wider understanding of early medieval landscapes. The East Anglian fens with their flat expanses and wide skies, a tract of some of the UK's richest farmland, are invariably described as bleak – or worse. Turn the clock back 1,000 years to a time when the silt and peat wetlands were largely undrained, and it's easy to imagine a place that defied rather than welcomed human occupation. Historians have long argued that during the 'dark' ages (the period between the withdrawal of Roman administration in around 400 AD and the Norman Conquest in 1066) most settlements in the region were deserted, and the fens became an anarchic, sparsely inhabited, watery wilderness. A new interdisciplinary study of the region by a leading landscape archaeologist not only rewrites its early history across those six centuries but also, for the first time anywhere in Europe, offers a detailed view of the settlement and agricultural management of early medieval wetland landscapes. Spanish archaeologists excavating a Visigoth necropolis in Sena, in the northeastern province of Huesca, have uncovered what they say is a burial site dating to the 10th century BCE and that was part of the Late Bronze Age Urnfield culture. 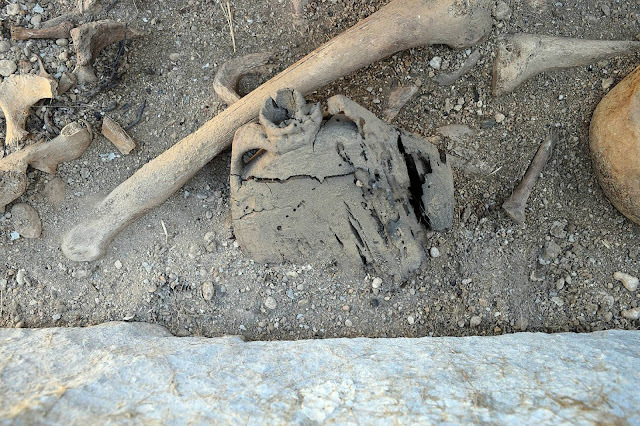 Two urns and a lid were discovered in the graveyard. 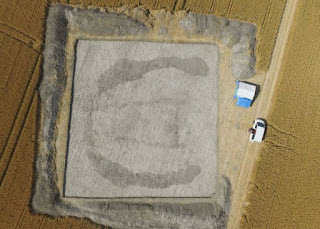 Hugo Chautón, the archaeologist overseeing the excavation, says Urnfield culture spread from central Europe into northeastern Spain around 1,000 years BCE. The name comes from the Urnfield culture’s custom of cremating the dead and placing their ashes in urns, which were then buried. The prehistoric settlement, discovered in 1985 by the archaeologists, is situated in the territory of the Slatina district. 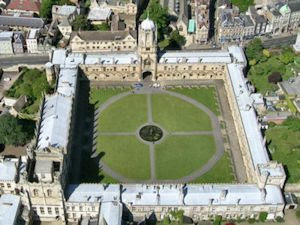 It has a size of 145 square meters and the complex has an unusual construction for its time. According to archaeologist Vasil Nikolov, the settlement is one of the first made by the Mongoloid race in Europe. "They suddenly experienced some innovative shock and started building in a whole new way, given the new environmental conditions, having ideas that are unbelievable for their time," he explained. 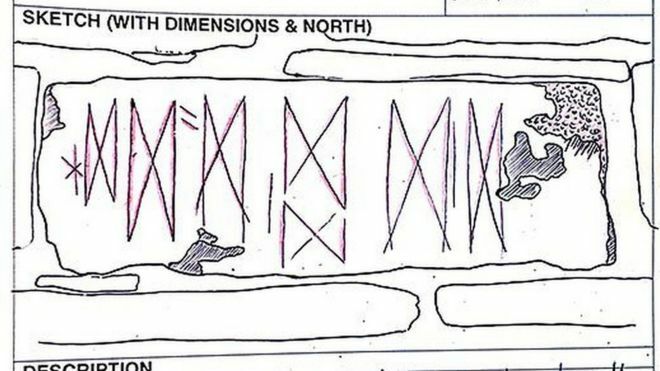 Neolithic markings carved into a stone in Orkney that were missed for years by archaeologists have been discovered by chance. The faintly incised "butterfly-like" motifs were revealed on Tuesday as sunlight lit up the rock at the "right moment, at the right angle". Experts believe the marks were deliberately made to be delicate and to catch light at certain times of day. 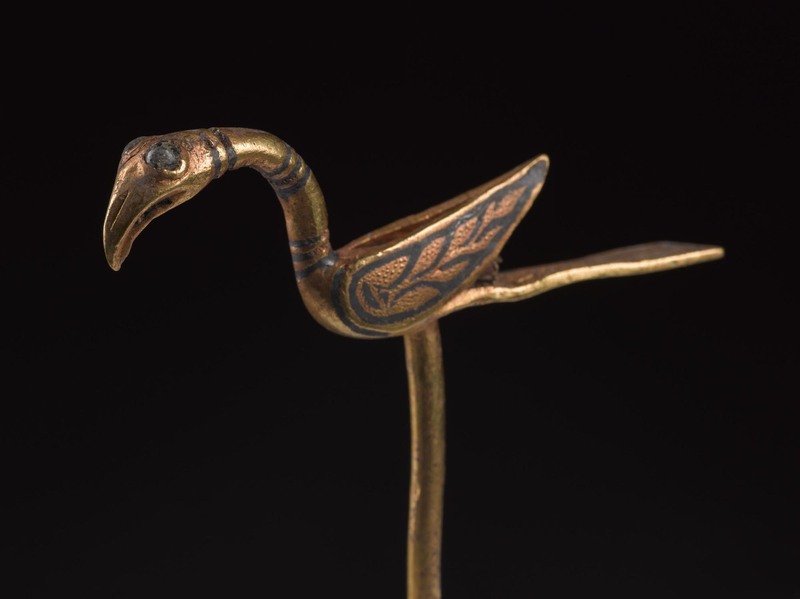 The find was made during excavations at Ness of Brogdar. The incisions are so faint they do not show up in photographs taken so far of the stone. BLADE TRADE Copper for Ötzi the Iceman’s ax, or possibly even the finished blade, came from what’s now central Italy, an unexpectedly long way from the ancient man’s home region in northern Italy. Ötzi the Iceman’s copper ax was imported. The mummy’s frozen body and assorted belongings were found in 1991 poking out of an Alpine glacier at Italy’s northern border with Austria. But Ötzi’s ax originated about 500 kilometers to the south in what is now central Italy’s Southern Tuscany region, say geoscientist Gilberto Artioli of the University of Padua in Italy and colleagues. It’s unclear whether Ötzi acquired the Tuscan copper as raw material or as a finished blade, the investigators report July 5 in PLOS ONE. While mostly copper, the blade contains small concentrations of lead, arsenic, silver and more than a dozen other chemical elements. Researchers previously suspected the copper came from known ore deposits 100 kilometers or less from the site of the Iceman’s demise. But comparing the mix of different forms of lead, or isotopes, in the ax with that in copper ore from present-day deposits across much of Europe indicated that the ancient man’s blade came from Southern Tuscany. Other chemical components identified in the copper implement also point to a Southern Tuscan origin. 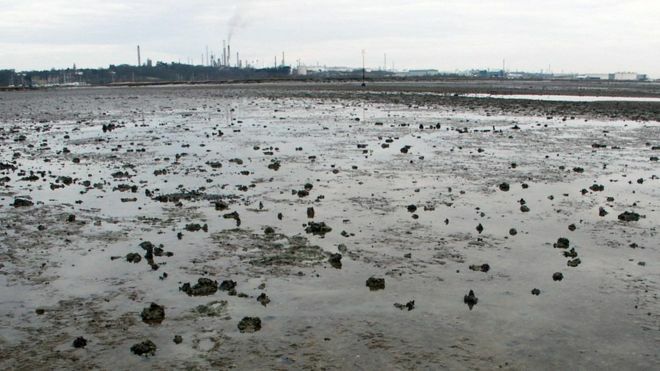 The trap was found by chance close to the Fawley oil refinery by archaeology students more than 10 years ago. A timber fishing trap exposed on the Hampshire coast dates back to Saxon times, it has been confirmed. The weir, built as a permanent wooden structure to catch fish as the tide ebbed, was found by chance on the shore of Southampton Water in 2005. Radiocarbon dating has shown it was built in the 8th or 9th centuries. Experts from Exeter University said the results were "thrilling" and provided new insights into the process of coastal erosion in the area. Dogs most probably evolved from wolves at a single location about 20,000 to 40,000 years ago, a study suggests. Previously, it had been thought that dogs were tamed from two populations of wolves living thousands of miles apart. Researchers studied DNA from three dogs found at archaeological sites in Germany and Ireland that were between 4,700 and 7,000 years old. The ancient canines share ancestry with modern European dogs. 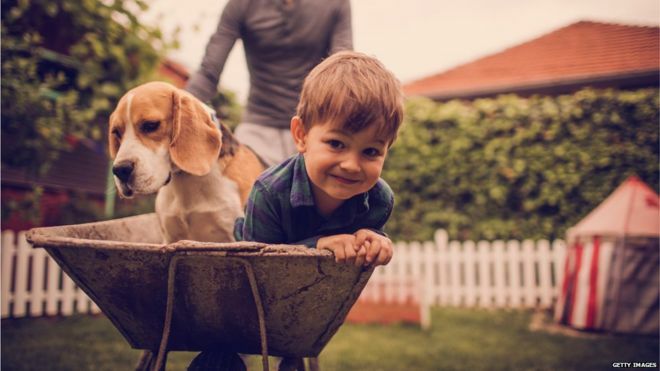 By looking at the rates of change to the DNA from the oldest specimen, scientists were able to place the timing of the domestication of dogs to between 20,000 and 40,000 years ago. 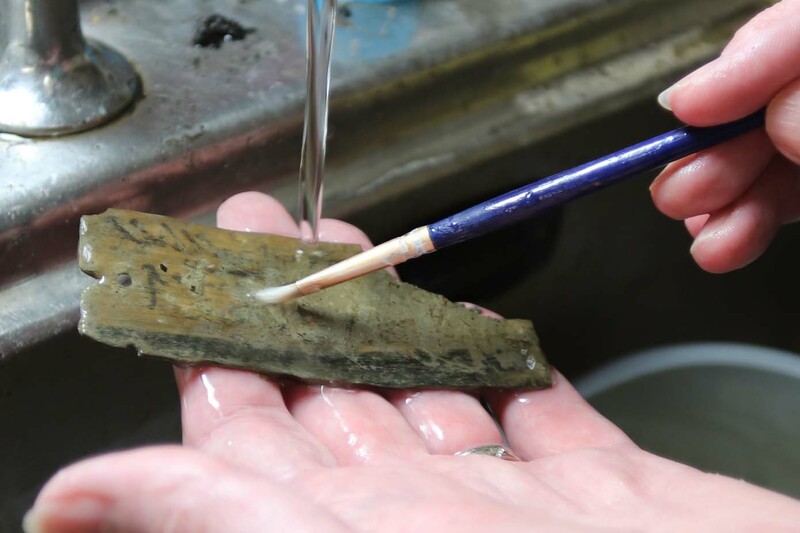 Archaeologists at Vindolanda Roman Fort on Hadrian’s Wall have discovered a new hoard of around 25 Roman ink documents, known as the Vindolanda writing tablets, as part of an extraordinary excavation season at the archaeological site. 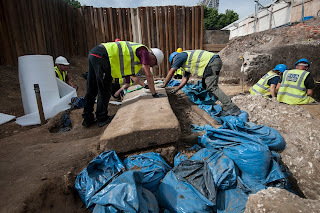 Found during the latest dig at the former Roman Army encampment, the tablets containing letters, lists and personal correspondence were discovered lying in the damp and anaerobic earth where they had been discarded towards the end of the 1st century AD. The discovery of the 'Sutton Hoo of Slough' is a remarkable finding as only a handful of mounds from this period are known about. The findings go against the previous assumption that it was a Norman Conquest-era 'motte and bailey' castle. 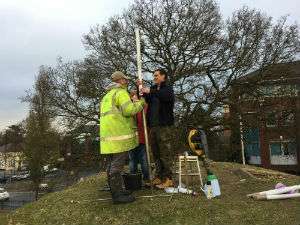 Dr Jim Leary, the University of Reading archaeologist who led the investigation in December 2016, said: "Conventional wisdom placed the Montem Mound 500 years later, in the Norman period. But we have shown that it dates to between the 5th and 7th centuries, not long after the collapse of Roman Empire. A perfectly-preserved mummy of an adult bound in copper plates from head to toe has been dug up in Russia’s Far North, alongside the mummy of a “tiny” baby. The discoveries could shed unique light on medieval burial and medical practices. The remains were found near Zeleny Yar archeological site in the Yamalo-Nenets Autonomous Region, which was discovered in 1997, and has since been the source of dozens of rare finds. The two preserved mummies were wrapped in birch bark and thick fabric. The adult, of a height of about 170cm (5ft 6in), was covered in copper plates from head to toe, while the baby, under a year old at the time of death, was “sprinkled” with small fragments of a copper cauldron, said Gusev. The mummies have been sent to the Institute of the Development of the North, in Tyumen, 500km south from Zeleny Yar. Archaeologists have discovered the ruins of a luxurious 5th-century Roman palace in Auch in the Gers – and they face a race against time to excavate it. Abandoned some 16 centuries ago, this aristocratic ‘domus’ possessed private baths and splendid mosaics on the ground. It was close to the centre of the ancient Roman city of Augusta Auscorum, which was the capital of the province of Novempopulanie - and near the centre of the modern town of Auch. Originally found by the landowner digging foundations to build a house, just 50cm below the surface the impressive 2-metre-deep ruins have been revealed. Since the end of April, l’Institut National de Recherches Archéologiques Préventives (Inrap) has been bringing to light a part of what was once a vast aristocratic home. An ancient Roman sarcophagus has been excavated from a building site in central London. 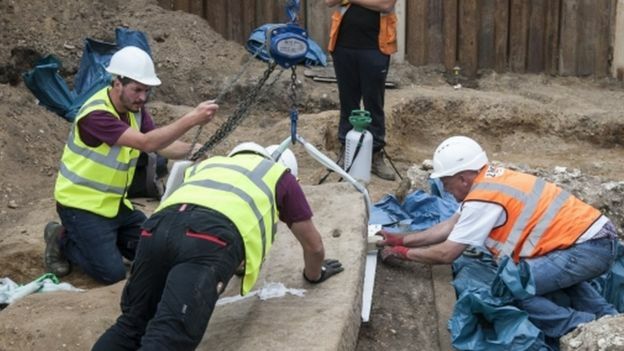 The 1,600-year-old coffin found near Borough Market is thought to contain the remains of a member of nobility. Archaeologists have been unable to identify the body as the stone coffin has been left filled with soil after being robbed, experts believe. The sarcophagus will now be taken to the Museum of London's archive for analysis. The coffin was found several metres underground with its lid slid open, which indicates it was plundered by 18th century thieves. More than 2,500 years ago, an Athenian nobleman named Cylon -- the first recorded Olympic champion -- tried to take over the city of Athens and install himself as its sole ruler. This month’s challenge is to understand the significance of a recently publishedNeanderthal mitochondrial genome from a femur that was excavated in 1937 from the Hohlenstein-Stadel (HST) cave site in southwestern Germany. This new genome brings the total number of Neanderthals from whom we have genetic information to eighteen. 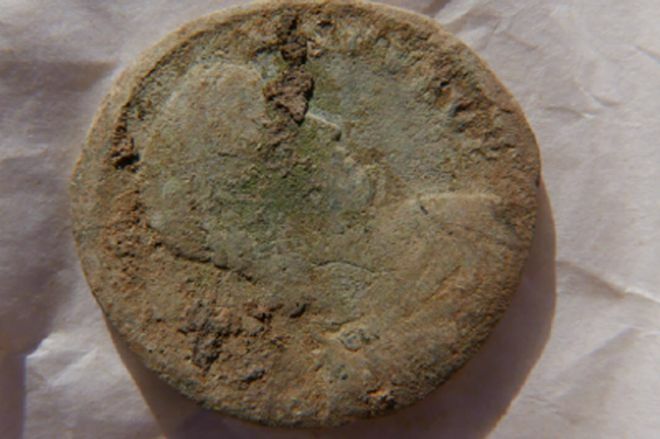 Archaeologists are thrilled by the discovery of a Roman coin during the excavation of an archaeological site in Orkney. The copper alloy coin was found at the Knowe of Swandro, the location of a Neolithic chambered tomb, Iron Age roundhouses and Pictish buildings. The archaeological site is at risk from coastal erosion. Roman finds have been made before in Orkney, and other Scottish islands including the Western Isles. The coin found in the Knowe of Swandro dig on Rousay is believed to date from the mid 4th Century AD. In 2014 archaeologists discovered the previously unknown Viking fortress at Borgring south of Copenhagen. Since then the search has been on to uncover the life, function, destruction and, not least, the precise dating of the Viking fortress. Now a new find has produced a breakthrough in the investigation. The carved oak timber object recently found in peat layers just outside the south gateway of the fortress. The piece has been cut and sampled for dendrochronological sampling (left). The function of the piece is unknown, but it may be a part of a door or building. In the period 2016-18 a programme of new excavations is made possible by a grant from the A.P. Møller Foundation. The team from the Museum of South East Denmark and Aarhus University are joind by leading experts from the Environmental Archeology and Materials Research at the Danish National Museum and the National Police Department's Section for arson investigation. Prior to this year's excavations it was only known that the massive, 150m wide fortress dated to the tenth century. Experts suspected that it was built in the reign of Viking king Harold Bluetooth (c.958-c.987), but the association could not be proven. On June 26, the archaeological team opened new trenches is the meadow next to the fortress to search for evidence of the landscape surrounding the fortress. 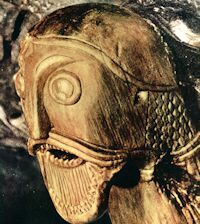 Around 2.5 meters below the current surface of the valley was found a c. 1m long piece of carved oak wood with drilled holes and several wooden pegs in situ. The wood carries clear traces of wear, but it is not currently possible to say what function the wood piece has had. A ‘House of the Dead’ has been discovered in Wiltshire dating back 5,000 years by University of Reading archaeologists and students, and could contain the ancestors of those who lived around Stonehenge and Avebury. As part of the University’s final Archaeology Field School in the Pewsey Vale, students and staff, with the support of volunteers from the area, have investigated the site of a Neolithic long barrow burial mound in a place known as Cat’s Brain – the first to be fully investigated in Wiltshire in half a century. The monument, which predates nearby Marden Henge by over 1,000 years, may contain human remains buried there in around 3,600 BC. The monument was first spotted by aerial photography and followed up by geophysical survey imagery. Archaeologists have located one of the most important buildings in the history of Western European Christianity – but it’s not a vast cathedral or an impressive tomb, but merely a humble wattle and daub hut on a remote windswept island. 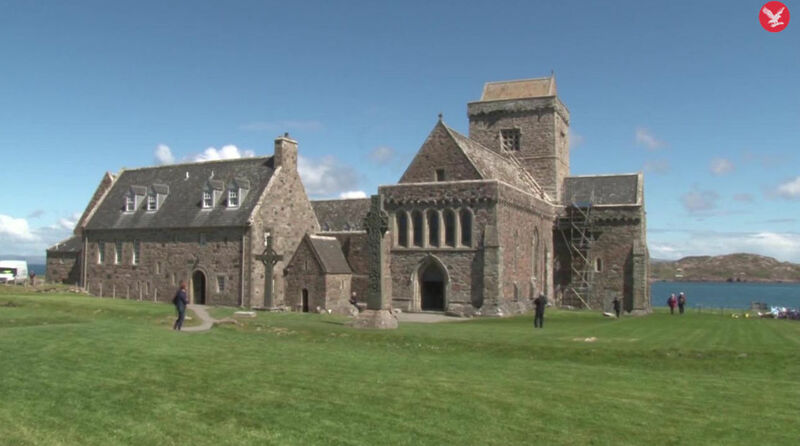 Using radiocarbon dating techniques and other evidence, the scholars – from the University of Glasgow – believe they have demonstrated that the tiny five-metre square building was almost certainly the daytime home of early medieval Scotland’s most important saint, St Columba. 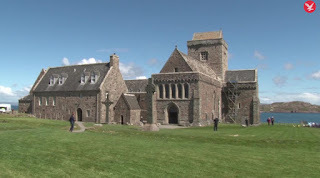 Located on the island of Iona, off the west coast of Scotland, the unprepossessing hut was probably the first administrative hub of the monastic community he founded – and whose monks, over succeeding centuries, went on to establish similar monasteries in mainland Scotland, in north-east England, in Belgium, in France and in Switzerland. Archaeologists conducting the first research excavations at Tintagel in decades. Early Cornish kings feasted on a diet of oysters, roast pork and fine wine, eating and drinking from bowls imported from Turkey and glass goblets from Spain, a new dig at Tintagel Castle has suggested. 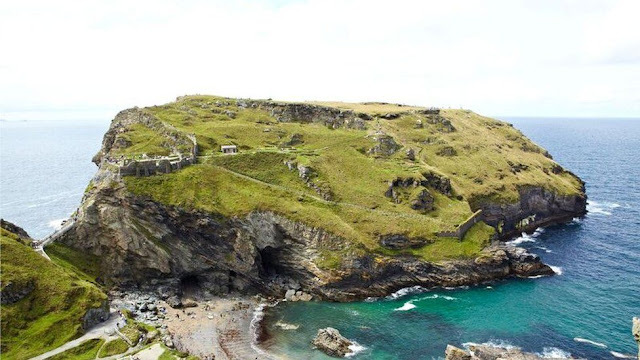 Discoveries made by the Cornwall archaeological unit (CAU) support the view that Tintagel was a royal site during the 5th and 6th centuries, with trading links reaching as far as the eastern Mediterranean. Perched on Cornwall’s rugged north coast, Tintagel has for centuries been associated with the legend of King Arthur. Over the past 18 months, its custodian, English Heritage, has been accused of putting too much emphasis on the stories of Arthur and Merlin, rather than focusing on the site’s true, ancient Cornish heritage. The excavations, the first at Tintagel for decades, may help redress the balance. The excavation also uncovered stone-walled structures on the southern terrace of Tintagel’s island area, with substantial stone walls and slate floors, accessed by a flight of slate steps. THE SECOND SWORD Both swords were badly damaged by rust. Archeologists working at Dysnes, a recently discovered Viking age burial site in Eyjafjörður fjord in North Iceland are still busy excavating invaluable treasures. Hundreds of items have been found at the site, among them two swords, three spears and three shields. A total of six Viking age graves have been found at the site, including two confirmed boat burials. Only two of the burials have been fully excavated and archeologists are currently exploring the third burial. The site is unusual for many reasons, not least that two boat burials have been discovered: Viking age boat burials are very rare in Iceland. The British Museum is developing "tailor-made" technology to combat congestion in its most popular galleries, as it works to lure visitors away from seeing just its star exhibits towards lesser-known items elsewhere. The museum is examining the tastes and decisions of its visitors, to develop technology which will match the artefacts they already want to see with similar items they did not know existed. 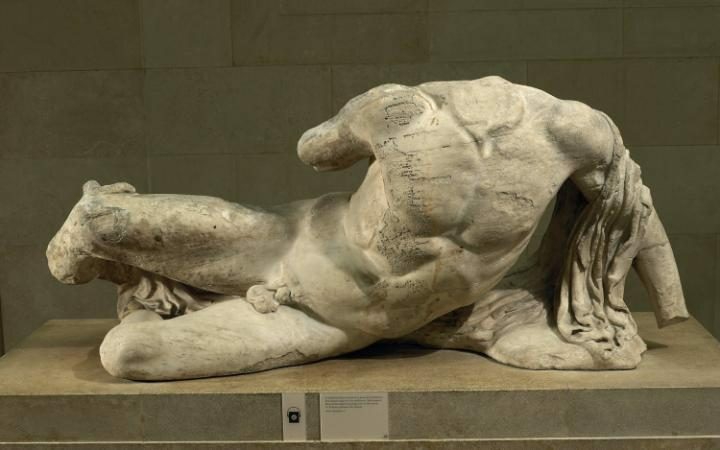 The “tailor-made solution” will be designed to help tourists branch out from the Rosetta Stone, Parthenon sculptures and mummies, and utilise the less populated parts of its galleries. The research is part of long-terms plans for the gallery, which include opening the Reading Room for exhibitions and bringing more objects from the Americas and Polynesia out of storage.